Few people embody the genuine soul of Americana and roots music than Tulsa, Oklahoma’s John Moreland. A new album from this unassuming poet of the human landscape is always a cause for celebration. On May 5th Moreland will release his fourth album, entitled ‘Big Bad Luv’ on England’s 4Ad label- an em print better known for alert rock like the Cocteau Twins and the Wolfgang Press, or post-rock noisemakers like The Throwing Muses and The Pixies. Though the label does have some folk and alt.country Cree signing band’s like The Red House Painters, The Mountain Goats and Tarnation. The one thing 4AD is consistent with is the quality their artists display in their craft. 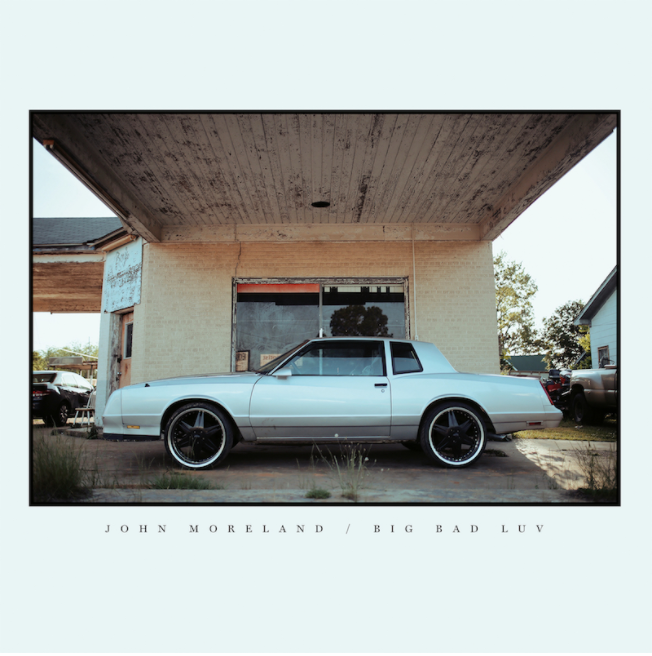 This is just what they get with John Moreland, an artist that sits solitary on stage and pulls a silenced audience along his stories of unflinching emotion. The album is being described as ‘…an honest, bruising experience. A record about love, faith and the human condition..” Sounds like a John Moreland album to me. Big Bad Luv, was recorded in Little Rock, AK, and mostly with a crew of Moreland’s Tulsa friends: John Calvin Abney (piano and guitar), Aaron Boehler (bass), Paddy Ryan (drums), Jared Tyler (dobro) and Lucero’s Rick Steff (piano). Coming together in three sessions over ten months, which were sandwiched between touring dates and life, the final album was then mixed by GRAMMY winning Tchad Blake, who has worked with iconic acts from Al Green to Tom Waits. If the track from the album below, ‘It Don’t Suit Me (Like Before)’, is any indication of the tone of the album there seems to be a stylistic and thematic move away from the shadows. This walk on the sunny side might be due in large part to his marriage last Summer. Tracklist and U.S. and Europe tour dates below.